GasLog Ltd. (GasLog) (NYSE:GLOG) announced yesterday the signing of a new long-term charter party agreement with a wholly owned subsidiary of Endesa, S.A. (Endesa) for its existing uncommitted newbuild vessel, the GasLog Warsaw. 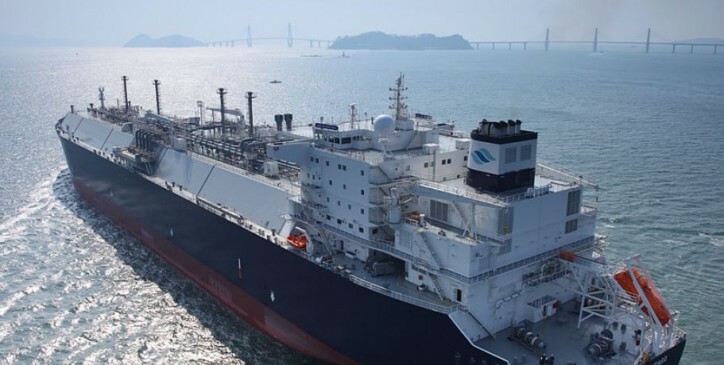 GasLog is scheduled to take delivery of the 180,000 cubic meter Mark III Flex Plus vessel with low-pressure two-stroke propulsion (“LP-2S”) from Samsung Heavy Industries in July 2019. The eight-year fixed-term charter to Endesa will commence in May 2021. Paul Wogan, Chief Executive Officer of GasLog, stated “We are delighted to charter this vessel to Endesa, a leading European utility and very high-quality counterparty. This charter expands our customer base and we look forward to further developing our relationship with Endesa. Before commencing its long-term charter to Endesa in May 2021, the vessel will be available during a period when we expect the spot market to be strong, especially during the 2019/2020 and 2020/2021 winters. The combination of the vessel’s size, highly efficient LP-2S propulsion and industry-leading low natural boil-off rate of 0.07% all combine to produce an extremely competitive transportation cost that should make it particularly attractive to potential charterers. The GasLog Warsaw is scheduled to deliver to Endesa in May 2021 for a fixed eight-year term, with two optional periods of six years each. The rate of hire for the charter is in line with mid-cycle rates. GasLog expects that the combination of the vessel’s near-term earnings in the spot market and the earnings from the Endesa time charter will deliver attractive returns for its shareholders. Following the commencement of the eight-year charter to Endesa, GasLog Partners LP (GasLog Partners, NYSE:GLOP) will have the right to acquire the GasLog Warsaw pursuant to the omnibus agreement between GasLog and GasLog Partners. As a result, GasLog Partners’ potential dropdown pipeline will increase to 12 LNG carriers with charter length of five years or longer.